WHEN Kinne Yon, a developer, and her brother Neal Sigety were planning an environmentally friendly rental tower at 1510 Lexington Avenue a few years ago, they incorporated a charging station for electric cars — even though there were few, if any, plug-in models available at the time. 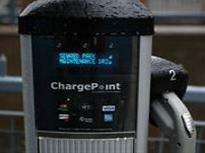 There are more than 50 charging stations in Manhattan. “We don’t get paid anything extra to have it in the garage,” Ms. Yon said, “but we think it’s kind of in keeping with going green, and in the future, more cars will be electric cars,” Ms. Yon said. The garage at 1510 Lex, as the building is known, also includes priority parking spaces for hybrid and electric cars. Over the last two years, Manhattan has gone from having a mere handful of public charging stations for electric vehicles to having more than 50 available, according to Con Edison, the city’s utility. They are mostly found in parking garages concentrated in the Midtown area, though they are also scattered around Lower Manhattan and the Upper East Side. As yet, there have been few users of the charging stations in New York, said Michael Gubbins, the vice president for residential management of the Albanese Organization, a developer. Albanese has installed charging stations in every one of its city residential properties that have parking garages, including the rental towers Solaire and Verdesian, and the condominium building Visionaire, all in Battery Park City. But that could change in the next few years. The number of electric vehicles on the roads will increase significantly in 2012, when more than a dozen manufacturers roll out electric plug-in vehicles and hybrid plug-ins in much larger numbers, said Pat Romano, the chief executive of Coulomb Technologies, a manufacturer of charging stations with a networking software. The software enables Coulomb to offer a real-time map of charging stations, which can be consulted at Mychargepoint.net on the Internet, as well as through an app for mobile phones. The navigation systems in some car models also provide map access. Albanese is planning to install new, universal Coulomb charging stations to accommodate plug-in cars like the Chevrolet Volt, the Nissan Leaf and BMW ActiveE, Mr. Gubbins said. There are still some 120-volt charging stations out there, though all of the stations being installed nowadays are “Level 2” chargers providing 240 volts. Car models have different charging times depending on the type of battery included. But typically, an 8- to-10-kilowatt battery needs three or four hours at Level 2 to be completely charged. At Seward Park Cooperative, a complex with 1,728 apartments at 413 Grand Street in Lower Manhattan, the board created a car-sharing program to introduce residents to environmentally friendly cars, said Michael Tumminia, a co-op board member. The lion’s share of the city’s public charging stations have been installed by private companies like Beam Charging and Car Charging Inc., which work with parking garages and other businesses, like rental car companies, to facilitate installation and then sell monthly car charging plans. Beam sells electric-car-owners a plan enabling them to charge up at virtually any public station for $98 a month — a major savings when compared with cars that use gasoline, Mr. Turquie said. But many garages still charge for parking during a charging session, a major hurdle for someone who doesn’t already rent a spot there. If building developers aren’t installing charging stations themselves, many are thinking ahead, incorporating charging-station infrastructure in their buildings to make adding them easier in the future, said John Shipman, department manager of electric vehicle programs for Con Edison.